It was a long journey, and it started with the clunk of a lever, and the flash of a face we already knew, but who decided to turn up early to his own anniversary party. Let’s face it. The moment Androgar turns to the General and says “No, Sir. All thirteen!” is probably the most exciting scene The Day of the Doctor has to offer. That’s not a criticism. 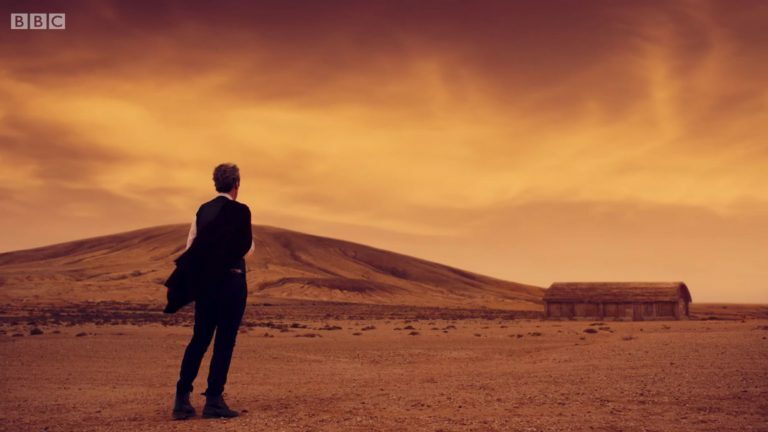 It was a genuinely spine-tingling moment: this Time Lord-in-waiting, glimpsed across the other side of a planet, the Doctor’s future appearing out of the blue in order to assist his past. I watched it at home, in the company of three children and a wife who was about to give birth to another, but I’m reliably informed that in the cinemas there were whoops and wails and applause. The only thing that could possibly have topped it was a Tom Baker cameo, and they did that as well. And we never got to see it again. Oh, there were hints. 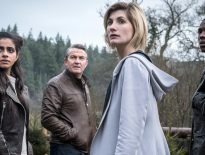 Not long after, quite possibly in an issue of Doctor Who Magazine I no longer have on my shelves, Moffat admitted that “At some point, the Doctor’s gonna get a phone call” – and in at least one interview we were told we’d find out exactly how all this had been set in motion, probably during Series 9. But it never came to pass, unless something happened when I went out of the room during the most seven tedious minutes of The Woman Who Lived. Which seven? Take your pick. The on-screen absence of this particular encounter probably isn’t a bad thing. I maintain (and have for years) that it’s better in your head; that whatever the writers could have conjured would never have matched up with the idea’s potential. Did I ever tell you that the night before Coronation Street were due to air the resolution of one of their abuse storylines, I dreamed the crucial scene, which swilled its way into my subconscious at five in the morning? That’s probably not an uncommon occurrence, but mine was so much better. So you will have your own versions of this – and today, for no reason other than that it’s silly season, I bring you mine. It’s quietly ridiculous and the versions you have in your head will be much stronger, funnier, and better structured than the one I decided to write down – but people in the fan groups keep asking how this scene played out, and at least I’ve provided an answer. Besides, who doesn’t enjoy a little light summer reading? TWELVE: If this is a PPI call, be warned that I can be in your office in the time it takes you to play the pre-recorded message. And I will bring scissors. 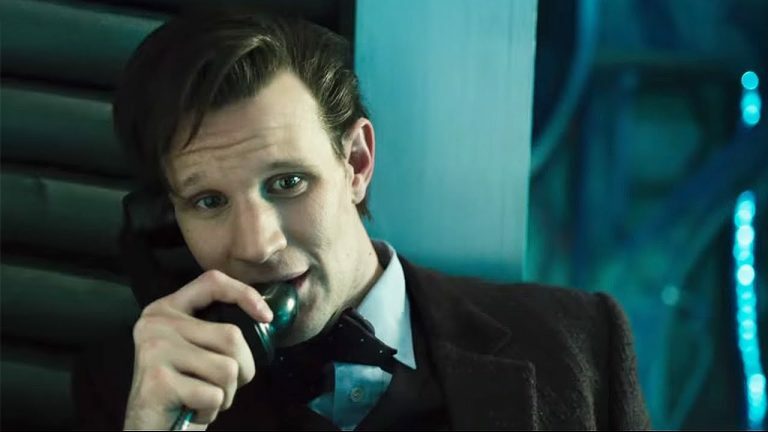 TWELVE: You’re going to ask me if I’ve had an accident in the last three hundred years, aren’t you? ELEVEN: You know when I am. ELEVEN: It’s been a long day… and I’m in need of a Doctor. TWELVE: [After a moment] We’re closed. TWELVE: I don’t remember this. ELEVEN: You will. In a moment. It’s like riding a bike, it’s all muscle memory. 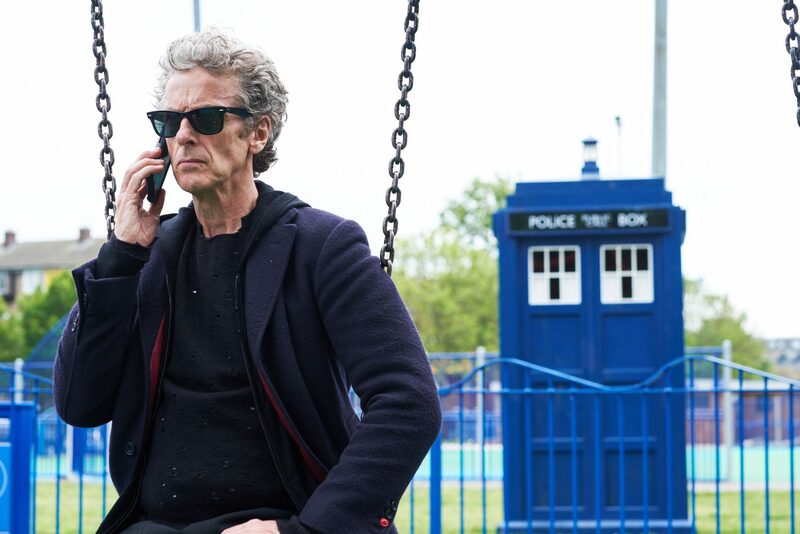 TWELVE: [Half to himself] Why is it we never ride a bike? I’m over two thousand years old; surely I should have ridden a bike sometime. Probably with some sort of alien in the basket. ELEVEN: I need your help. TWELVE: This is about Gallifrey, isn’t it? TWELVE: You’re doing that ridiculous thing where you drop it down the back of the sofa with all the pens. Listen, while you’re down there can you look for a plectrum I lost three months ago? 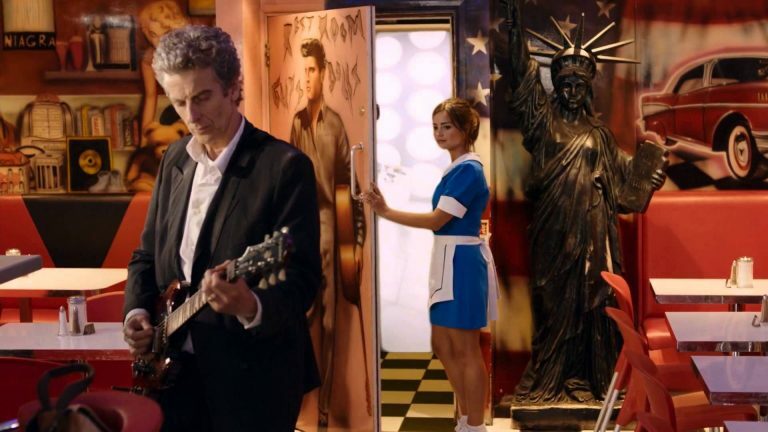 ELEVEN: A plectrum? Since when? TWELVE: I was going through a midlife crisis. ELEVEN: Rubbish. You’re the first of a whole new list. Anyway, we had a midlife crisis. You know? That dreadful outfit? Carrot juice, exercise bike? TWELVE: That’s it! I knew there was a bike somewhere! You always get a few blank spots when you regenerate. Speaking of which, isn’t that about due? ELEVEN: Yeah. I can already feel my eyebrows thickening. You know, you really do sound rather older than I’d like you to be. TWELVE: You weren’t the only one. So I’m due at Gallifrey? ELEVEN: I counted thirteen TARDISes, including… you know, his. So unless we skipped a generation, or for some reason one of us decided to turn up twice, then you’re supposed to be there. 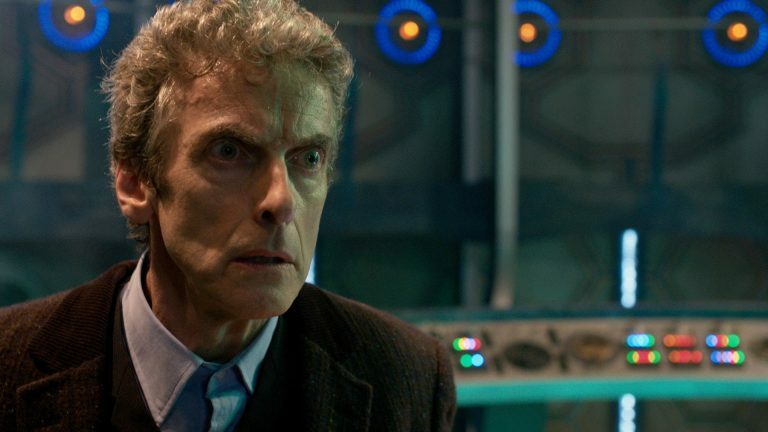 TWELVE: What’s the plural of TARDIS, anyway? It feels like it should be TARDI. ELEVEN: God, look, how many times? It’s not a word, it’s an acronym. Susan made it up. TWELVE: So she claimed. She also pretended to twist her ankle several times so she wouldn’t have to do the heavy lifting. TWELVE: Of course I’m coming. It’s pre-ordained. Although logically you shouldn’t be telling me about this, because only the last of us remembers. You shouldn’t even remember. 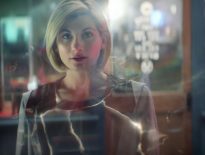 ELEVEN: No, I shouldn’t, but I do, which suggests that sometimes logic gets thrown out of the window, along with all those annoying things like continuity and common sense. TWELVE: That’s never bothered you before. ELEVEN: I’ve spent years as a grumpy old man. And from the sound of me, I don’t think it’s quite over. TWELVE: Hey! [He thinks it through] I resemble that remark. ELEVEN: You’re loving this, aren’t you? But you do need to help me with those calculations. TWELVE: All right. Give me a second. [He produces a small brush from his jacket pocket, and uses it to fluff his eyebrows.] There. Attack eyebrows. ELEVEN: Did you pack your angry eyes? It’s pretty much the first thing they’ll see. TWELVE: I never take them out. Except when I want to do smug. ELEVEN: [chuckles] You have your mother’s eyes, Harry. TWELVE: Don’t mention Mum. It gets people really upset and nobody can really say why. ELEVEN: We really don’t have long. Clara’s due back here any second. Is she still around? TWELVE: Sorry, lost you for a second there. ELEVEN: I asked you about Clara. How is she? TWELVE: [interrupting] She’s dead. And then she wasn’t and she sort of went adventuring round the universe with an immortal. TWELVE: Yeah, it’s not so bad when it happens the second time. ELEVEN: Losing one companion like that is unfortunate. Losing two is borderline careless. ELEVEN: Ah, so it does turn up again! TWELVE: Yeah. You get there eventually. ELEVEN: And you’d better get there now. TWELVE: [punches console buttons] Just setting the coordinates. ELEVEN: Thank you. Be you later, Doctor. TWELVE: Indeed you will. [grins] All good things come to those who regenerate. TWELVE: Sorry. Where were we? FIRST DOCTOR: Who was that? TWELVE: Oh… you’ll find out in time.